Likability is one of the critical areas for success in sales and in life. As the saying goes, people do business with those that they know, like and trust. So the question becomes, how do you get people to like you? The first step is to become approachable – smile, make eye contact, extend a handshake first and introduce yourself first. Listen more than you speak – people love the sound of their voice and to voice their opinions. Listen, don’t interrupt and be respectful of others opinions. Much like the sound of their voice, they love to hear their name. Use their name – it not only will make them happy but it will reinforce and help you remember who they are when you see them later. Remember and acknowledge dates that are important to them – birthdays, anniversaries, and birthdates of their children are just a few! Deliver on what you promise and be true to your word. Your reputation takes years to build and you do it one day at a time one interaction at a time. Remember, each encounter is extremely important to the other person you are meeting with – make it count for them! Become solution oriented for others. Help them solve what issues they are encountering and it will endear them to you. Be humble – don’t brag, put down or show a huge ego. Let your actions speak for you not your words. Respect others and be empathetic. Don’t talk down to people or ignore their needs or wants. You don’t always have to agree but take the time to understand where they are coming from in with their point of view. Be happy, positive and upbeat. Optimism goes a long way to having people like you. Negativity, snapping at people, complaining and putting others down is ways to drive people away from you. Act professionally in your appearance, your demeanor, your actions and remember to be polite – it will go a long way to adding to your likability. Be honest and show integrity. When people lie, exaggerate or stretch the truth, people will see through this over time and you will lose credibility and in turn, it will hurt your likability factor. Be inspirational, motivational and last but not least have a great sense of humor. Be able to laugh and do it often. People like to be around people who are fun. These are just a few thoughts to help you get further in life faster. Get it? Got it? Good! Our donation dollars at work! There are times in your life when you feel fortunate and humbled at the same time. Our visit to The National Children’s Hospital in Washington, DC was one of those occasions. We are fortunate that our children are healthy and not undergoing treatments that many of the children at the hospital have to endure. We are fortunate to have experienced the hospital as visitors and not as parents or friends of a patient staying at the hospital. 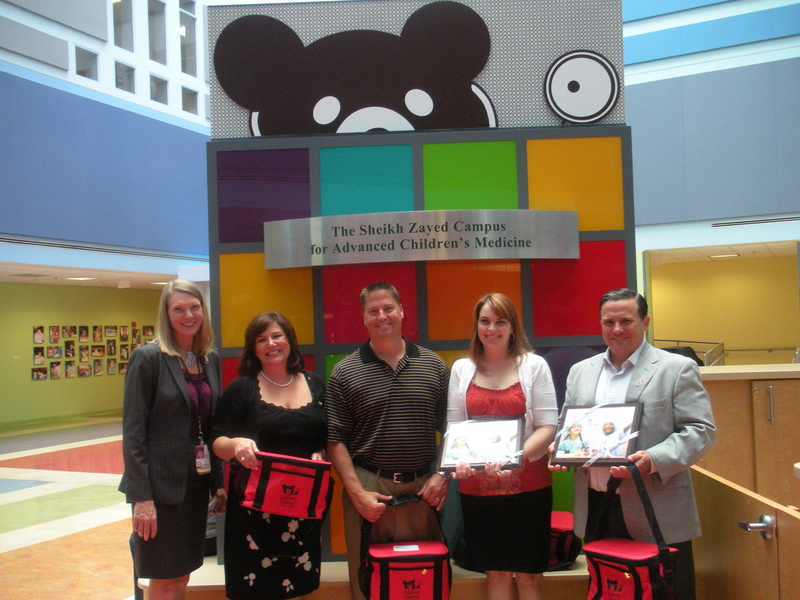 As a result of our contributions to the Children’s Miracle Network we were able to have a VIP tour of the hospital. It is an amazing facility that provides unbelievable care to children for any reason regardless if they have insurance or not. What immediately struck me was the kindness of the staff from the valet parker to our tour guide Milton to our liaison, Kimberly Lane. They all truly appear to love their job. Next was the color scheme and design features of the floors we visited. The design feature input was made by the families and children who had to have a stay at the hospital. Bright colors, balloons, and vibrantly colored floors and walls highlighted each floor and gave the appearance of no other hospital. The art room is another aspect that helped bring a new appreciation of what the children who stay at the hospital have to endure make this facility a special one. The children can do art projects to help them escape their current situation and help aid them in their healing process. In addition to the art room are the playrooms they make available to the children so they can seek solace and “get away” from the hospital staff in a fun environment. The hospital rooms offer as much privacy as possible and are designed with three separate sections – medical, patient and family areas. They are designed to make the stay more comfortable for all involved. There are also separate “family” areas as well as laundry facilities available so parents can remain close to their children while allowing them to get some time out of the hospital room. The wall of encouragement is what had the biggest impact on me. The wall features photos of former patients that told their story, what impacted them most about their stay at the hospital, what the current patients can do stay positive and lastly, who is their inspiration and why. It was a very moving experience to read how these children coped with their conditions and made their stay a success to help the others become success stories as well. All in all, it was a great experience and one that I am proud to be a part of by contributing a portion of each sale to CMN and encouraging our agents to do the same. We highly encourage doing all that you can by helping support us in this cause – one visit to the hospital will get you hooked. As discussed at our Quarterly Meeting in December, all of our Chili Cook-off donations will go to support CMN as well. As we expand offices, we will be doing soup cook-offs, barbeque cook-offs and other cooking competitions to support this cause so please let us know your thoughts on how we can make these events even better and well attended. Get it? Got it? Good! Now, go sell something – so you can make a contribution! You are in control of yourself, your life and all that you do in it. How do you move past the current situation you are in today? Get educated – learn all you can about your industry or one you want be a part of and become the expert. It doesn’t take much. Read for one hour per day in the field you wish to learn. One hour per day turns into one book per week. One book per week becomes 52 in one year. You tell me if you read 52 books on one subject and can’t become an expert, I will tell you, you are wrong. Most people don’t read one book in a year. Learn what you have read and apply it to the real world situations you encounter. Those who know and do more than others in any walk of life earn more respect, get more recognition and go further in their careers. And, guess what? They earn more money. If you want to change where you are in life, you need to change your attitude and regain control of your thoughts, desires and where you want to be. As the saying goes, “if it is to be, it is up to me”. So become positive and optimistic. There are so many negative people in the world and there is so much negative press on the television, in newspapers, etc. and they all want company. My advice is to avoid these people. Look at every opportunity as a learning experience and as an opportunity. Not a problem. Become solution oriented and you will get results and become even more optimistic and positive. If you smile more – this too will help you so start with this simple task! Hang around positive forward thinking people and learn how they handle situations and remain optimistic. It is a learned skill – teach it to yourself. Stop blaming others, the economy, the industry you are in, the government or any other excuse. You determine where you end up in life. There are countless numbers of people whom have come from every walk in life with every opportunity presented to them and it is the ones who take advantage of what is presented and makes the most of the experiences that gains the most from them. Other people get tired of hearing negative responses to everything said or about everything that happens around them. Take the time to figure it out for yourself. Do something about your current situation. Don’t be a victim and become a success story and share your story with others. Life is a contact sport, become a part of it and direct yourself to where you want to go and reap the rewards. Again, you control your destiny. Make the most of your time – do what makes you the most productive, consistently and you will get results. Get it? Got it? Good! 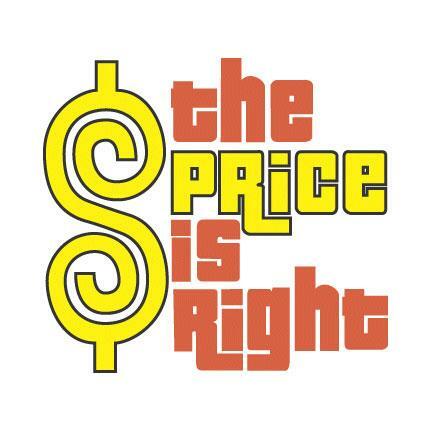 Who really knows if the price is right? If you follow real estate at all, you know that there are 3 pricing indexes that get quoted fairly regularly – S&P Case Shiller, FHFA, and Corelogic HPI. Are they good for tracking home prices as a buyer or seller? My belief is no – a professional Realtor is your best option. All of these indices are flawed from what they track, to the timeframe in which they use to track data, to what their data sources encompass, to how much weight is given to price points and to what areas are used to gain their pricing policies. Why is this important to know you may ask? Well, it is where your clients, sphere, and potential clients hear in the media about housing prices. You need to be able to speak intelligently about them and convey the true story about housing prices. By doing so, you will position yourself as a trusted resource in real estate by providing value to those whom you know. Now, let’s take a closer look at each pricing model so you can give the right advice when you are helping a client buy or sell a house. This is NOT what most readers of the Washington, DC data understand the coverage area to be. The CSI reported with a two-month lag and is based on three months of data. For example, data released in January 2011 was for the three months ended November 2010 (November, October, and September 2010). The House Price Index is based on transactions involving conforming, conventional mortgages purchased or securitized by Fannie Mae or Freddie Mac – only. All mortgage transactions on single-family properties are included – refinances included but no condos, coops or multifamily are considered. Conventional mortgages are those that are neither insured nor guaranteed by the FHA, VA or other federal government entities. The HPI is a weighted, repeat-sales index, meaning that it measures average price changes in repeat sales or refinancing on the same properties. A full release is provided every three months – not exactly timely. The HPI includes indexes for all nine Census Divisions, the 50 states and the District of Columbia. The best of the rest – CoreLogic. Located in all 50 states and the District of Columbia. The CoreLogic HPI is published on approximately a 5 week lag from the end of the data collection period. How does the FHFA HPI differ from the S&P/Case-Shiller Home Price indexes? The S&P/Case-Shiller indexes only use purchase prices in index calibration, while the all-transactions FHFA HPI also includes refinance appraisals. FHFA’s valuation data are derived from conforming, conventional mortgages provided by Fannie Mae and Freddie Mac. The S&P/Case-Shiller indexes use information obtained from county assessor and recorder offices. The S&P/Case-Shiller indexes are value-weighted, meaning that price trends for more expensive homes have greater influence on estimated price changes than other homes. FHA’s index weights price trends equally for all properties. The geographic coverage of the indexes differs. The S&P/Case-Shiller National Home Price Index, for example, does not have valuation data from 13 states. FHA’s U.S. index is calculated using data from all states. As you can see, it is nowhere near how we value properties but it is where most of Americans get the idea of housing values. We have more accurate, up-to-date information that we can provide clients. Let your clients know why these indexes are made available – CSI, for Wall Street and hedge funds; FHFA HPI, to track valuations on Freddie and Fannie products to assess risk; and lastly, CoreLogic’s HPI, for banks to assess risk when lending money. None of them are used to determine the value of a home when selling or buying – let others know the facts and become a source for valuable real estate information. Get it? Got it? Good!